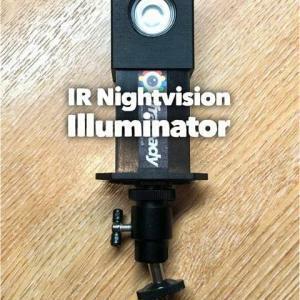 The IR Nightvision Illuminator Adjustable Bracket Allows One Or Two Illuminators To Be Mounted Whilst The Device Is Mounted To A Tripod. 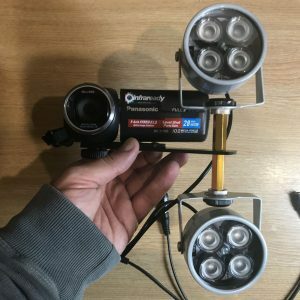 One 48 LED Illuminator, One Slide Bracket And Fixings Will Be Supplied. 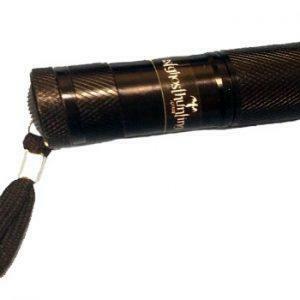 The Illuminator Is Brand New And Ready To Use Immediately Upon Receipt. 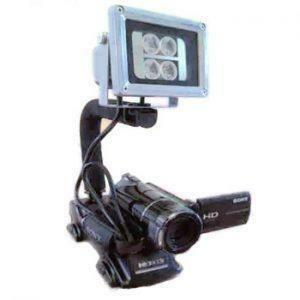 All You Need To Do Is Provide Your Own 9V Battery. 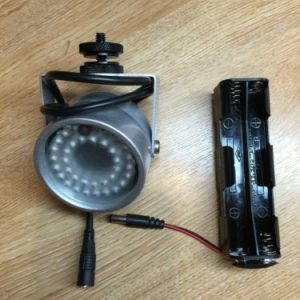 Alternatively, We Also Stock A 12v Battery Holders For The Illuminator That Provides 100% Illumination Power, Versus 75% Output Over Powering The Setup With 9V. 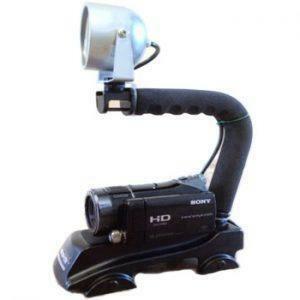 These Are Professionally Manufactured Illuminators That Have Several Advantages Over The DIY Illuminators. 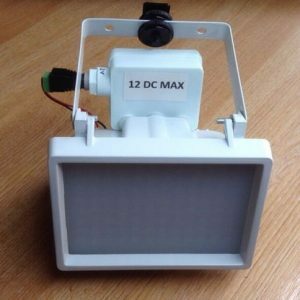 Weatherproof Enclosure Prevents Dust And Moisture Ingress, Extending Power Consumption And The Life Of The Device. 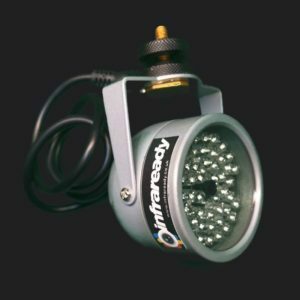 Circular Array Ensures Beam Is Concentrated Specifically To Suit Night Vision Recorders. 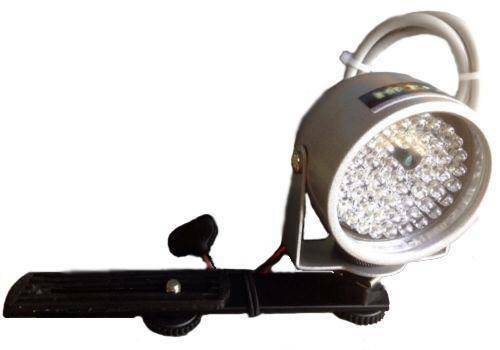 The Adjustable Bracket Allows The Beam To Be Adjusted, Unlike The Rigid Mounts Of Black Box Style Illuminators. 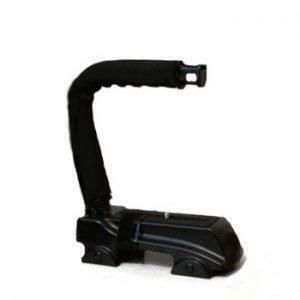 Battery And Mains Can Be Used To Safely Power The Unit. 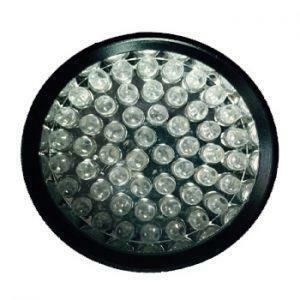 Power Consumption Is Reduced As The Illuminator Switches Itself Into Power Save Mode If Sufficient Light Is Available. Voltage Regulation To Ensure Constant Light Is Emitted Without Flicker Or Drop Out. 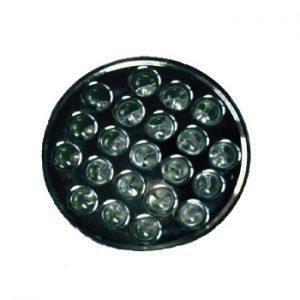 This Will Also Extend The LED Lifetime As The Voltage Is Rectified To Maximise LED Lifespan. 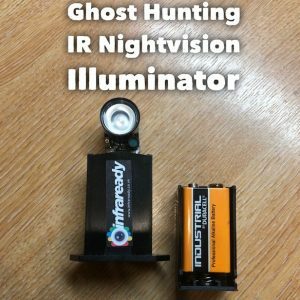 Illuminates The Scene That Can Be Captured With Night Vision Capable Equipment, The Light Emitted Is Invisible To The Human Eye.